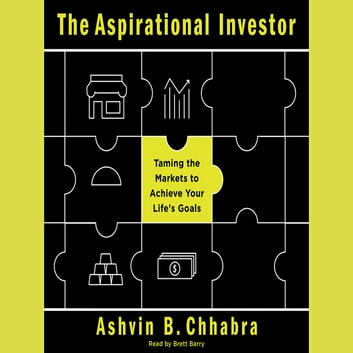 The Aspirational Investor is a practical, innovative approach to managing wealth based on key goals and the careful allocation of risks rather than responding to the whims of the financial markets. Chhabra introduces his “Wealth Allocation Framework,” which accommodates the three seemingly incompatible objectives that must underpin every sound wealth management plan: the need for financial security in the face of known and unknowable risks; the need to maintain current living standards over time despite inflation; and the need to pursue aspirational goals for wealth creation. Chhabra reveals some surprising facts about wealth creation, reinterprets the success formulas of investing greats like Warren Buffett, and closes the gap between theory and practice by simplifying our understanding of key asset classes and laying out a concise roadmap for identifying, prioritizing, and quantifying financial goals. Raising the bar for what we should expect from our investment portfolios—and our financial advisors—The Aspirational Investor sets us on a path to more confident and fulfilling financial lives.